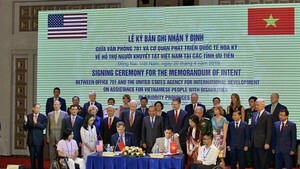 Vu Quang National Park yesterday received a nine- kilogram monkey with the scientific name of Macaca assamensis or Assam macaque from the Forest Management Board of Huong Son District in the north central province of Ha Tinh. The rare monkey was listed in group 2B of forest species in need of being preserved and protected strictly. Accordingly, this monkey was discovered by Mr. Nguyen Duong Quoc, a resident in Huong Son District, in the weak healthy condition. 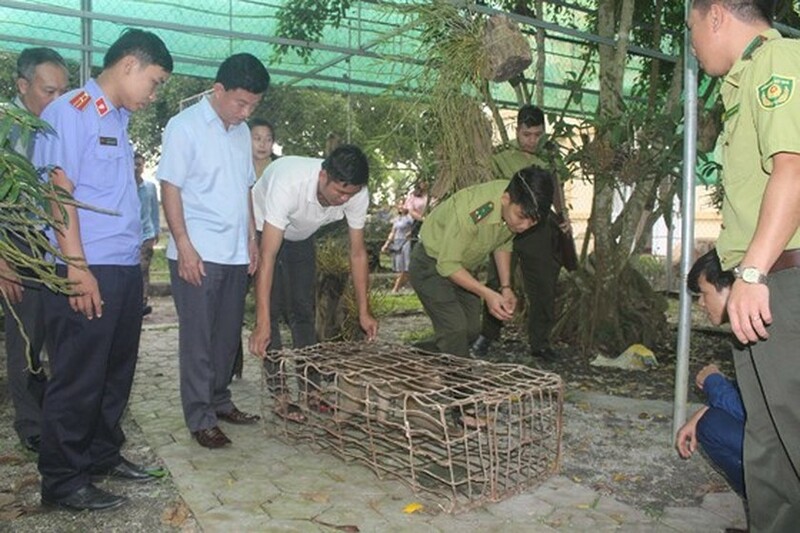 The monkey’s healthy has been reviving after being taken care by Mr. Nguyen Duong Quoc at his home. After that, he handed over this monkey to the Forest Management Board of Huong Son District. 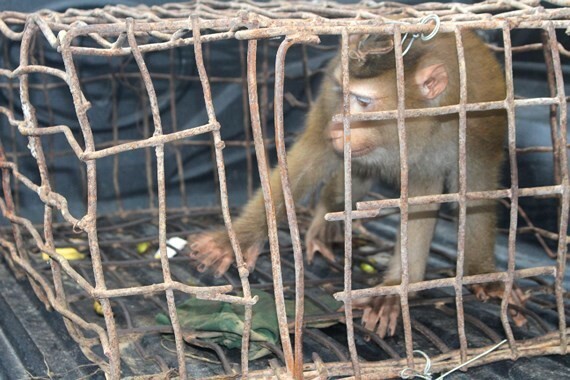 Currently, Vu Quang National Park continues looking after the monkey before releasing it to the forest. Assam macaque (Macaca assamensis) was previously discovered in the mountains from the South Asian to Southeast Asian regions including India, Bangladesh, Bhutan, Nepal, Vietnam, Thailand and the southern part of China.